“Let’s start a podcast!” is so the modern equivalent of “Let’s start a band!” in the early 2000’s, right? It may be a common phrase that everyone says but just because everyone is saying it, doesn’t mean everyone actually follows through on this goal. And that’s probably because it’s a little overwhelming. Where do you even start? Is it too late? If you haven’t started your podcast, you’re definitely not too late. People are here for the podcasts. With over 73 million people listening to podcasts at least once a month, I’d argue that there’s still room for you. 1. Don’t get too bogged down with the details. You don’t know what you don’t know. Until you start the podcast process, you won’t even know what all you need to research. Learn the foundation, but then trust that you’ll find the answers you need as you’re going through the process of creating your pod. 2. Take it step by step. Start with a good concept. Pick a concept for your podcast that is true to you and what you love talking about––so much so that you could talk about it for hundreds of episodes. But also know that you can always pivot. 3. Have a clear style, and remember that you have a unique voice that the world needs to hear. As I said before, there’s room for everyone but the most successful podcasters are authentic and bring value. Focus on value above all, and you’re likely to do well. 4. Test out podcasting and find out if it’s even for you. Maybe you don’t launch on iTunes right away, but put out your podcast and see if it’s the platform for you. Maybe it’s not! There are tons of platforms out there, but it’s worth trying out to see if this is the medium for you. 5. If you’re starting a podcast to make loads of money, I’d rethink it. Podcasting is about sharing and connecting, but it might be years before you make any money. Do it for the love of it before you do it for the money, honey. Ask yourself this: If I never got paid for this podcast, would I still want to do it? 6. On that same note, if you end up loving podcasting––be consistent. You likely won’t start with thousands of listeners, but staying on top of it week after week is one of the core things that will set you apart. Most people quit after a few months or a year, but you won’t! And you’ll see a lot of results just by showing up, again and again and again. Here are some of the best tools I’ve stumbled across to get you started, from idea generation to launch to marketing your podcast. This brand new podcast course from the Almost 30 podcast begins in January 2019––so you’ll need to commit to this right away if you’re reading this in January. If not, I’m sure it’ll open up again. Almost 30 is a podcast starring Krista Williams and Lindsay Simcik on navigating life in your twenties and thirties, from spirituality to relationships to personal growth. They’ve created a chart-topping podcast, and love providing practical tips, so I have no doubt that this course will give you all the details you need for starting a successful podcast. There’s also an ebook, shopping checklist and media kit template you can purchase. 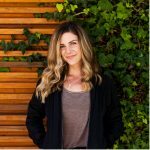 Jenna Kutcher is one of my favorite online marketing women. She’s practical and gives great advice for everything web related, including starting a podcast. Listen to this episode for tips to get you started. She gives you excellent question prompts to think over while you’re brainstorming your podcast. Here’s the podcasting 101 snow notes that go with it so you don’t even need to take notes while you listen. This is a thorough step-by-step guide that gives you more detail than you can imagine, fo’ free. Learn how to record, edit and upload from one of the best marketing guys out there. It’s very technical. He also has a course called Power-Up Podcasting that goes into great detail on the marketing end of podcasting. It’s a course to get into once you’ve got your podcast up and running, but want more downloads and listens. While looking for resources, I stubbled across this blog post and found it to be a quality post for getting started. There are thousands of blog posts on podcasting, so it’s hard to choose between them all, but I like this one from Nat Eliason that breaks it down from the concept to launch. He even goes into how he organizes his interviews and editing process via Trello (which if you know me, that’s my go-to way to organize so I dig it.) It breaks it down in steps and simplifies the process. “Let a podcast out” is another workshop from a podcaster and author, Katie Dalebout. She’s been podcasting for years and years, interviewing many guests in all kinds of categories. Her first course awarded the winner with a feature on her podcast. She takes you through how to start a podcast, plus interviews hundreds of podcasters who’ve been podcasting for a living. It includes resources like email templates and guest tracking excel spreadsheets and more. This course is closed at the moment, but there’s a waitlist you can sign up for, so you can be the first to know when she launches again. From creation to promotion, Amy Porterfield gives details on everything from how to format a show to creating podcast outlines to tracking analytics. Amy Porterfield is a powerhouse in the marketing arena, and I love the way she teaches. You’ll definitely find a lot of gems in this episode of her podcast. There’s also a behind-the-scenes video on the website that shows the equipment she uses. Browse online a little and type in the questions you have, and you’ll be sure to find the answers online. It’s all about finding the tips and mediums that work best for you when learning how to podcast. It might be audio learning or taking an e-course that gives step by step instructions. There’s really no excuse not to start a podcast when there are this many high quality resources available to you. I suggest starting with one or two of these resources, and then diving in head first.